I’m very disappointed with my poor shooting of this interview. Nevertheless, this is one of the best interviews I’ve ever produced. 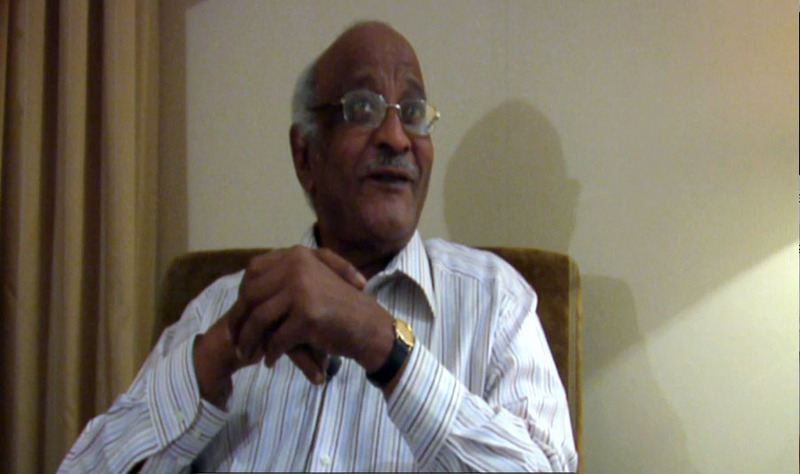 Every Sudanese citizen should watch this because Amen Mekki Meddani, an influential human rights activist, discusses Sudan’s gloomy political crisis. He’s an expert in International human rights, lawyer, policy analyst, organizational manager, development cooperation specialist, law professor, advocate and organizer. He has professional and managerial experience in the Office of the U.N. High Commissioner for Human Rights, the U.N. High Commissioner for Refugees, the World Bank, the Arab Fund for Economic Development in Africa. He was Former Cabinet Minister, Magistrate and lecturer in Law. Executive Board member of six non-governmental human rights organizations and professional legal association. He is a recipient of the Human Rights Watch Award for Human Rights Monitoring (1991) and a recipient of the American Bar Association Human Rights Award on behalf of the Sudan Bar Association (1991). He’s also an expert member of International Evaluation Missions for the UN High Commissioner for Human Rights (Cambodia), the Ford Foundation and the International Commission of Jurists. Really u r doing a great job, and u r going on the right way..i got ur videos in youtube and in ur blog…mostly i saw all of them,,,ad rally i like this interview for Mr.Madni…ad i hope that if u can make more interviewers with a sudanese people who know alot of our country. I don’t want to talk alot…but i want to say one of important things ( go go and don’t stop a great job u r doing. Finally…its my pleasure to know u and it will be greatly to talk to u.